The German maker of power supply units and PC cases Be Quiet! 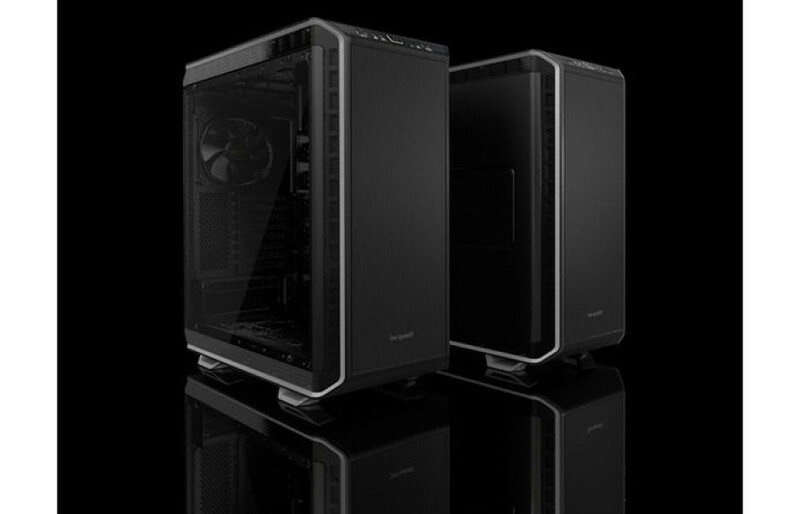 has announced the appearance of two new cases called Dark Base 900 and Dark Base 900 Pro. Both models are high-end PC cases and offer the Super Mid-Tower form factor but they differ from Be Quiet!’s Silent Base computer chassis in that they are more flexible. The Dark Base 900 and Dark Base 900 Pro cases are made of steel and share most of the tech specs that they offer. The cases support E-ATX, ATX, microATX and mini-ITX motherboards and have enough space for two 5.25-inch drives, seven 3.5-inch drives, up to fifteen 2.5-inch drives (! ), a regular ATX power supply unit and up to eight PCI-E expansion cards. The cases measure 577.2 x 242.7 x 585.5 mm (L x W x H) but their weight is unknown. Being that big the Dark Base 900 and Dark Base 900 Pro cases have full support for all kinds of cooling solutions and a large number of cooling fans. The cases come with three pre-installed 140 mm Silent Wings 3 fans that spin at 1000 rpm. There are some differences between the two cases, however – the Dark Base 900 Pro features a 4 mm thick side window, a number of LED lights, eight spots for cooling fans (the Dark Base 900 has six of them) and wireless charging for devices that support this technology, unlike the Dark Base 900 PC case. The Dark Base 900 and Dark Base 900 Pro cases will be in stores in July of this year. The Dark Base 900 case will cost USD 199 in the United States, while the Dark Base 900 Pro case will sell for USD 249.